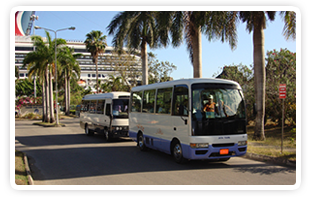 The company operates island wide, chiefly as a supplier of transportation at all hotels and ports of entry. Our performance over the years represent significant improvement and established an excellent reputation which enabled us to gain recognition from the Jamaica Tourist Board, The Jamaica Hotel and Tourist Association, various businesses and incentive communities. We take pride in our operation and of utmost importance are the needs of our clients. For these reasons you can be assured of our consistency, which is based on professionalism, experience, responsibility, flexibility, efficiency and punctuality. We strive in all our endeavours to make these the hallmark of our business. Juta Tours also specialize in providing private tours for our clients who are staying in a hotel, resort or private Villas for the Montego Bay or Ocho Rios area. Not only will Juta Tours save you money, but we will provide the best professional and personalized tour so that your experience in Jamaica will be unsurpassed. For value and quality for your on island tours, be sure to book online and in advance to experience the Juta Tour Difference ...We go the extra mile to make your stay in Jamaica all that you desire.